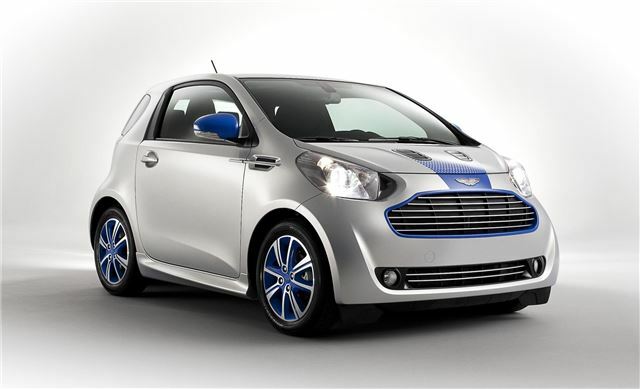 Aston Martin has launched a limited run of 14 Cygnet & colette luxury city cars, designed in conjunction with the Parisian fashion house. Just 14 examples will be made, all hand built. It’s expensive – priced from 48,995 Euros. The Cygnet and colette is available in Lightning Silver with special blue details on the bonnet, mirror caps and wheels. The interior is trimmed in quilted chocolate brown leather, with unique badging, quilted Alcantara sun visors, hand trimmed cusions, and Cygnet & colette branding on the sat nav screen setting the limited edition model apart from the rest of the range. If you want one you’ll have to go to Paris because Cygnet & colette orders are to be placed in the colette store in Paris, with deliveries before the end of the year.